A low-slope or flat roof covered with alternating layers of roofing felt and hot-mopped asphalt and topped off with a layer of gravel. One hundred square feet of roof or the amount of roofing material needed to cover 100 square feet when properly applied. Where two sloping roof sections come together. 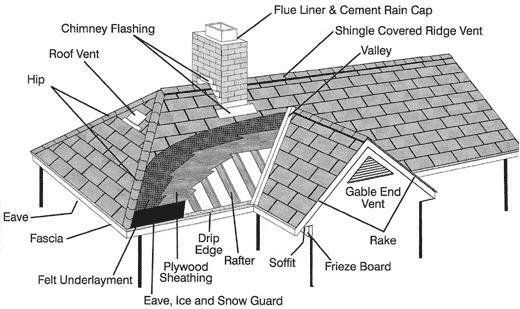 Shingles in the valley are cut in a V direction exposing the valley flashing fabric.